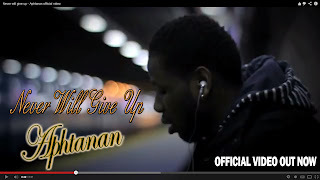 iDancehallReggae.com::Caribbean Lifestyle Media::: Canada’s Young Reggae, Aphtanan Releases Music Video for “Never Will Give Up”. Canada’s Young Reggae, Aphtanan Releases Music Video for “Never Will Give Up”. Trinidad and Tobago’s native and Canadian Reggae artist, Aphtanan released his music video “Never Will Give Up” early this morning. The upcoming Reggae act has been working hard locally to achieve his dreams at spreading a positive message through his music, with performances at top Jamaican/Reggae based festivals here in Montreal such as Jamaica Day and Montreal’s International Reggae Festival. With the new music video Aphtanan is hoping to reach the international massive. This is the first song to be released off his upcoming album “Dann In The Vann”. The song expresses the corruption amongst the “so-called” leaders, neglecting and misleading the youths. The upcoming artist continues working on his new album while promoting the new music video.